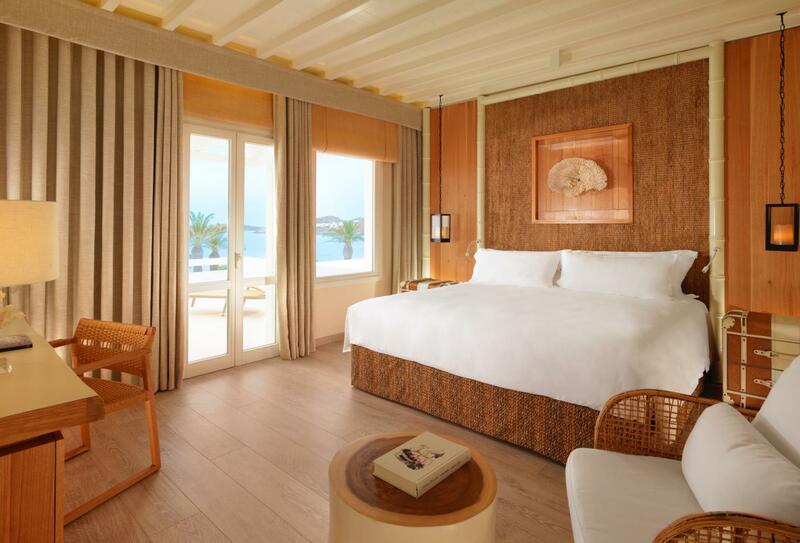 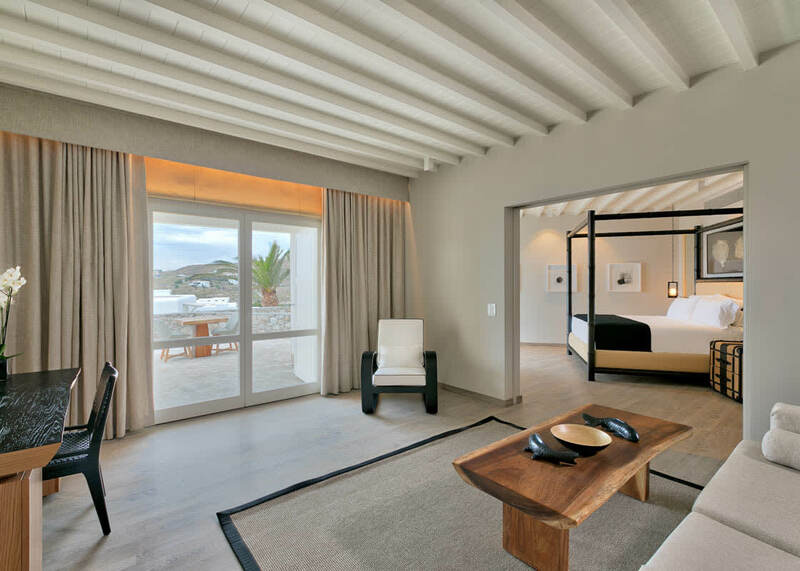 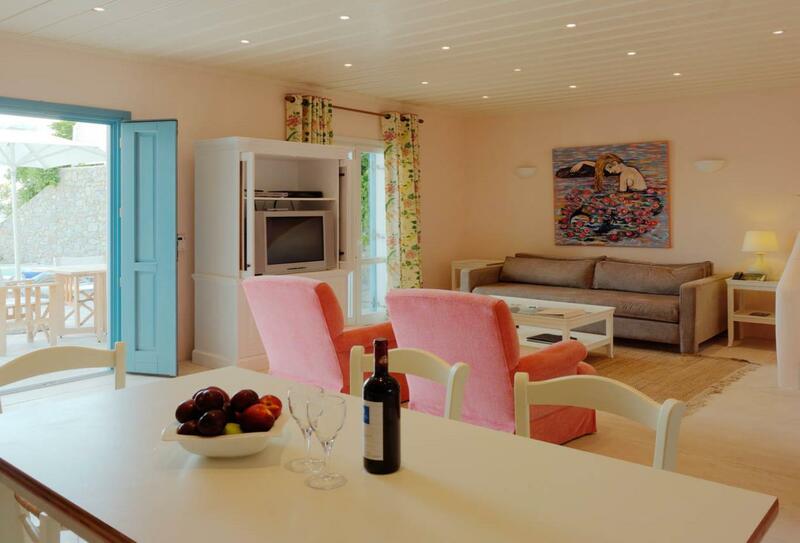 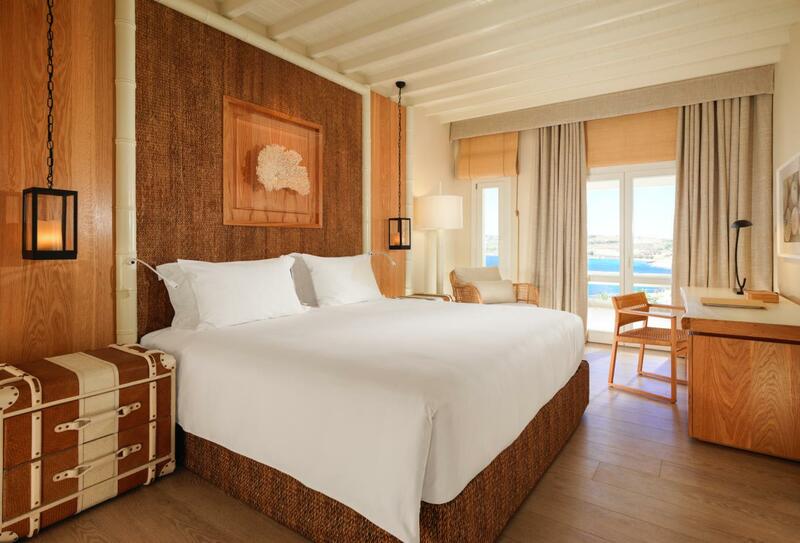 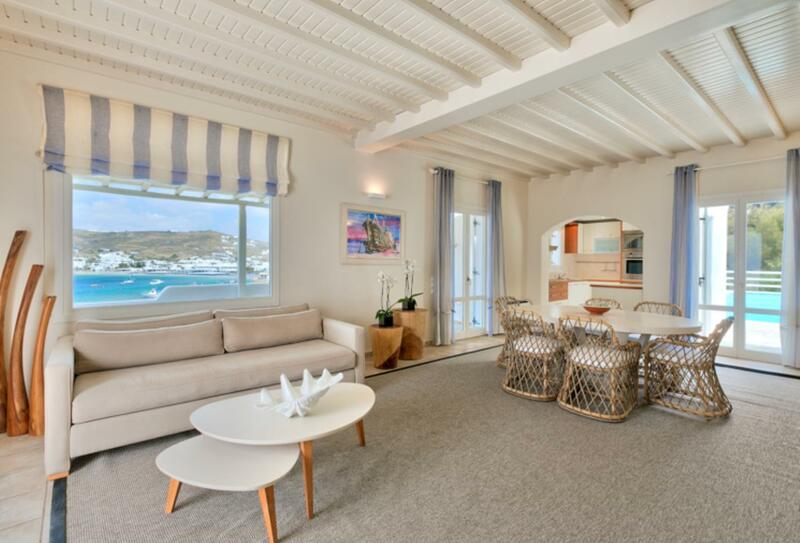 This suite features a bedroom and living area as well as a private balcony with sun loungers. 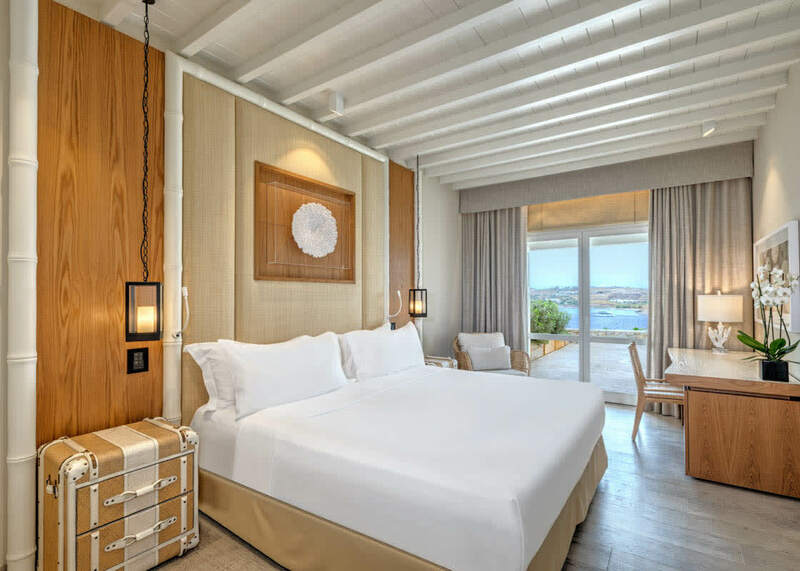 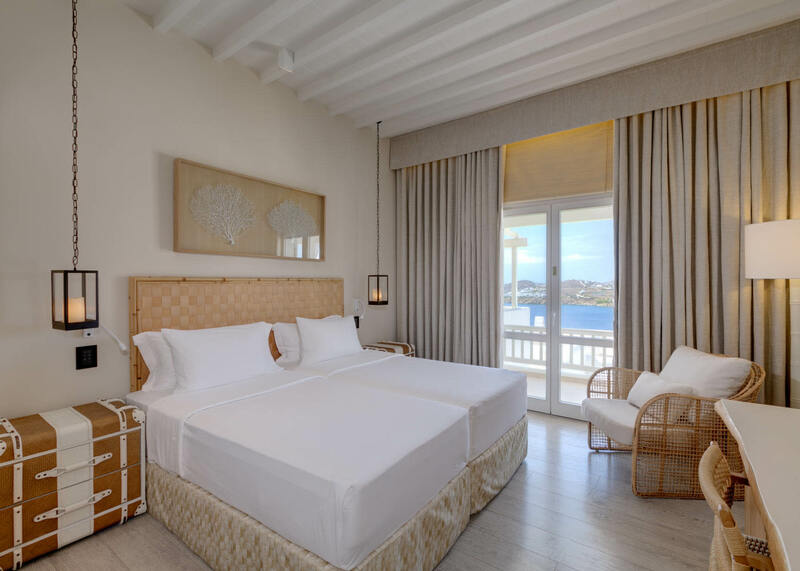 This is a bi-level suite and the grand floor features a master bedroom and private balcony and upstairs is the second bedroom and a second private balcony. 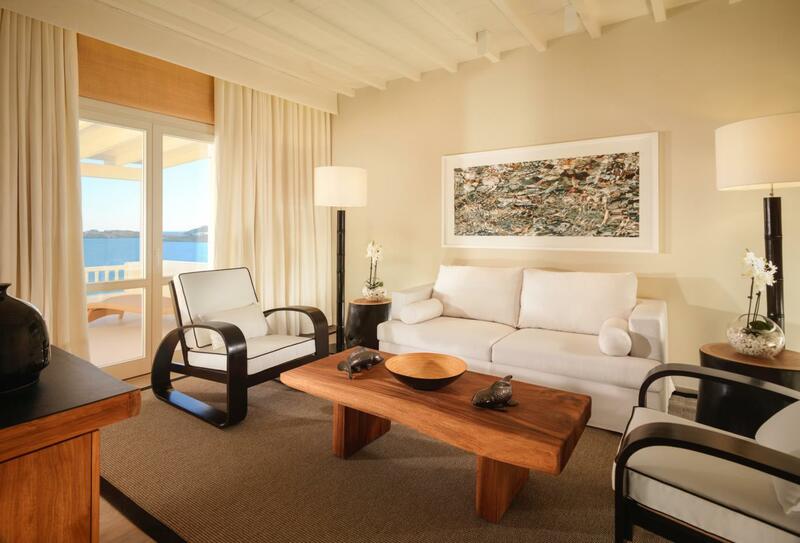 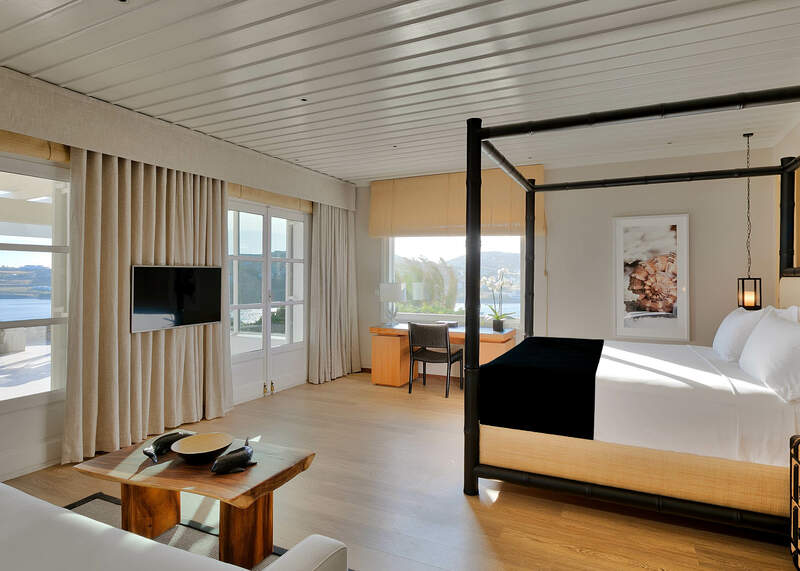 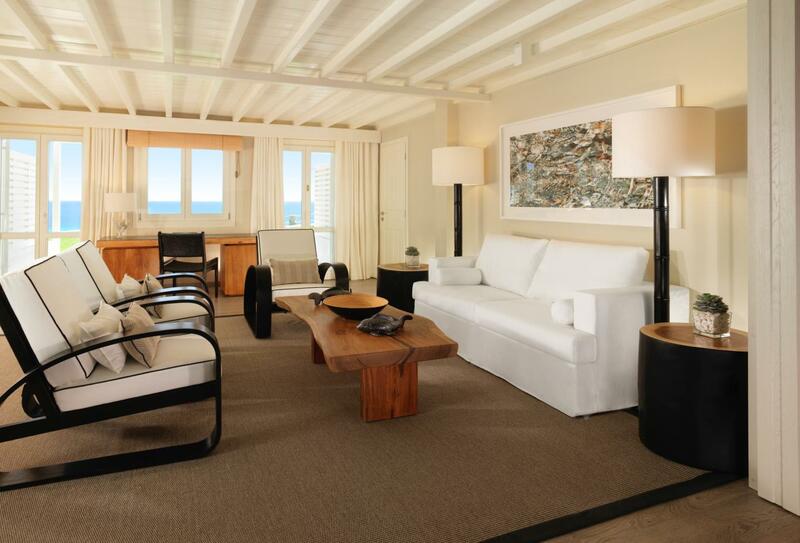 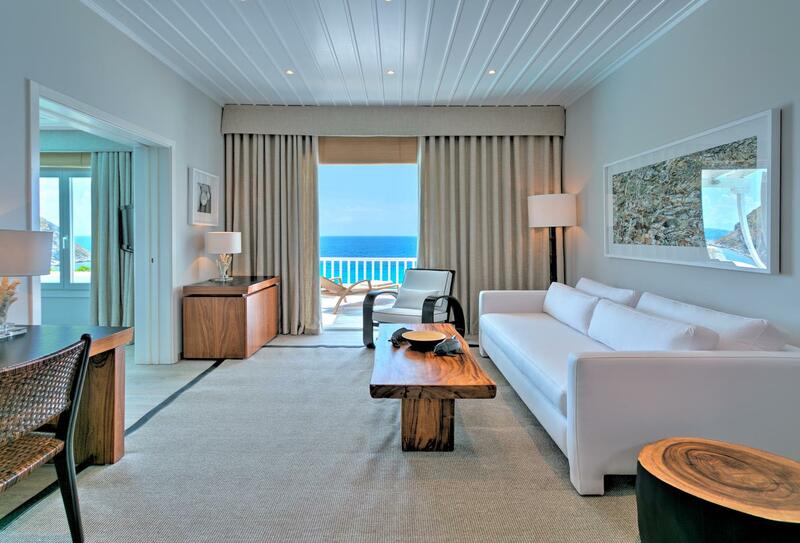 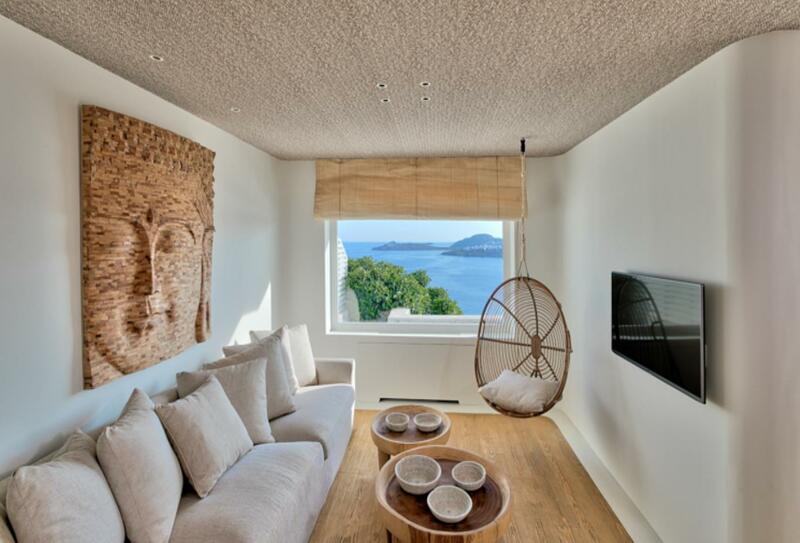 This suite features a separate living room, private terrace with dining area and full sea views. 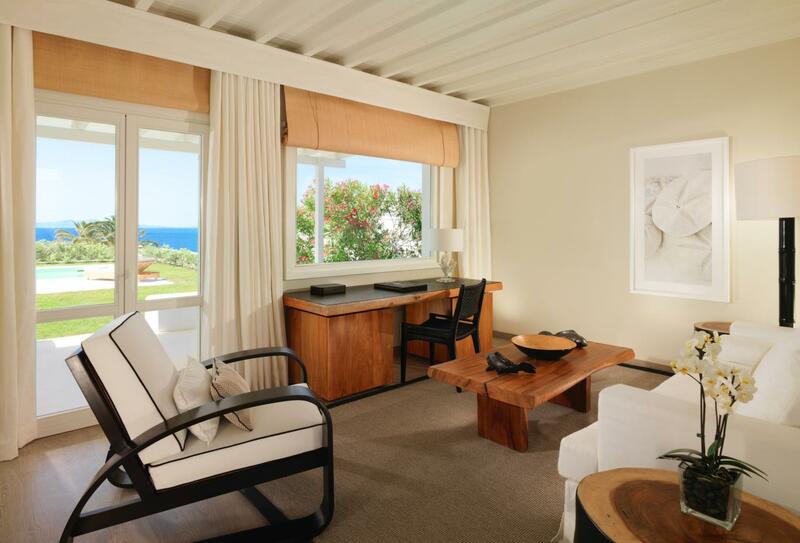 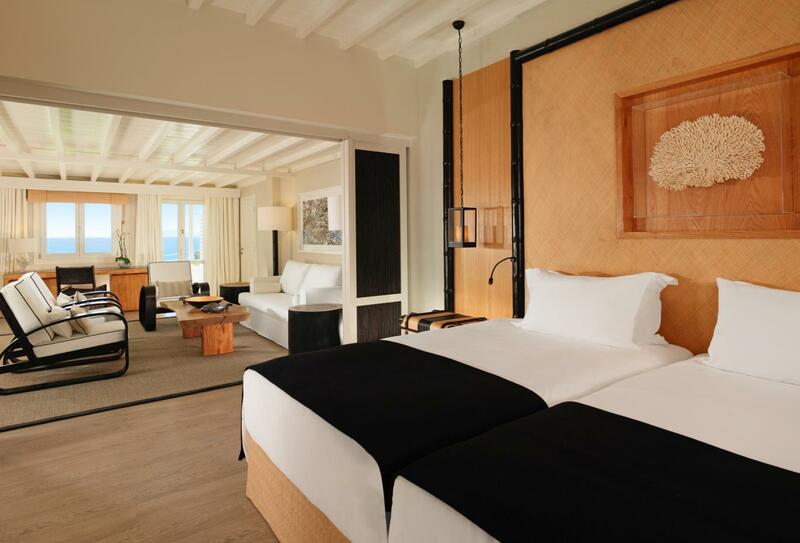 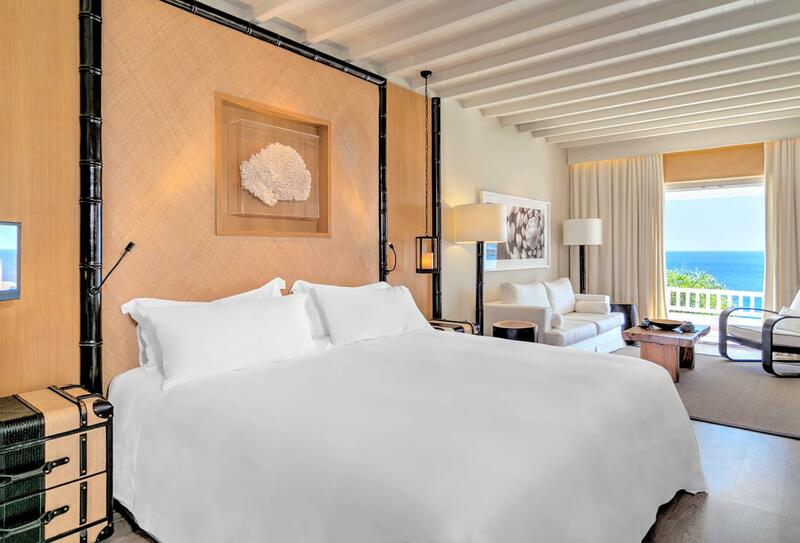 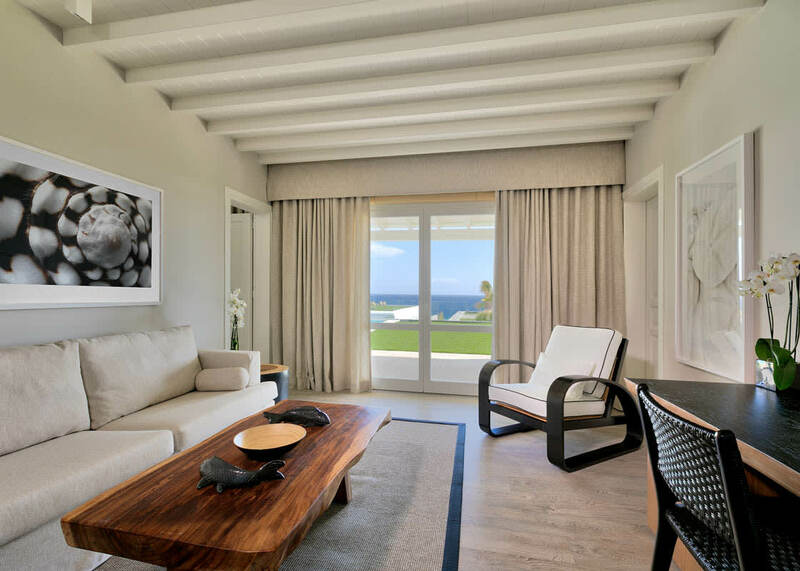 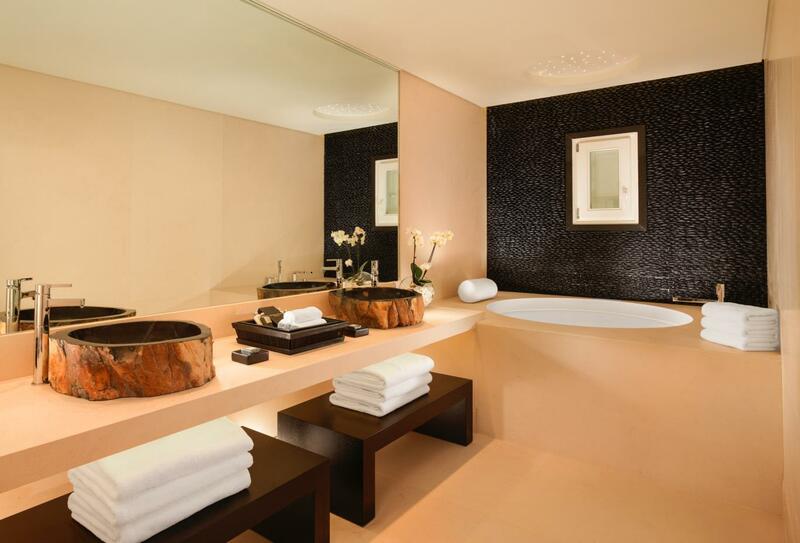 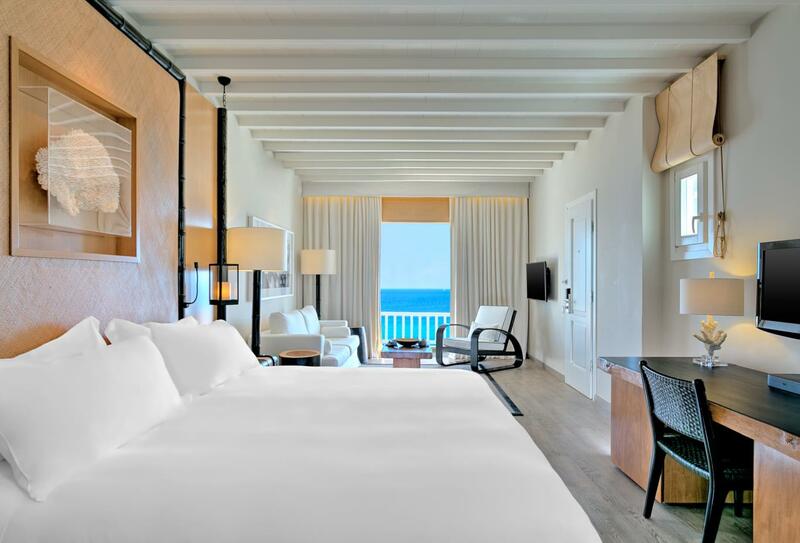 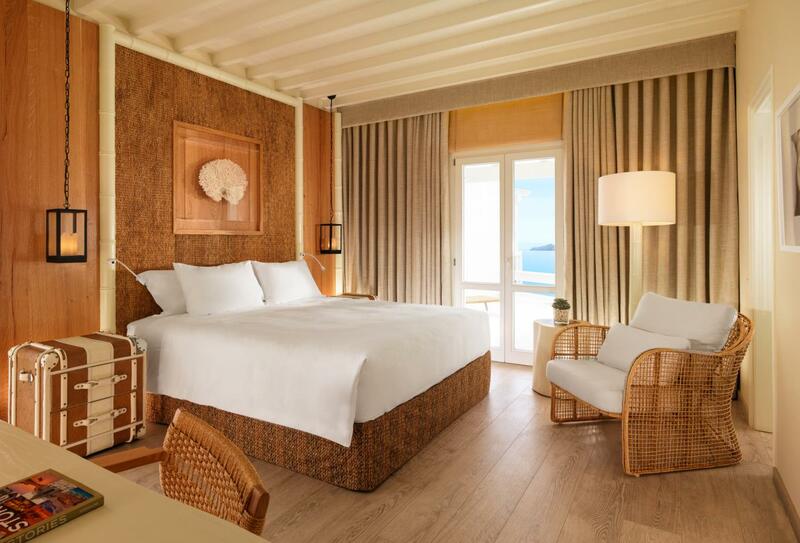 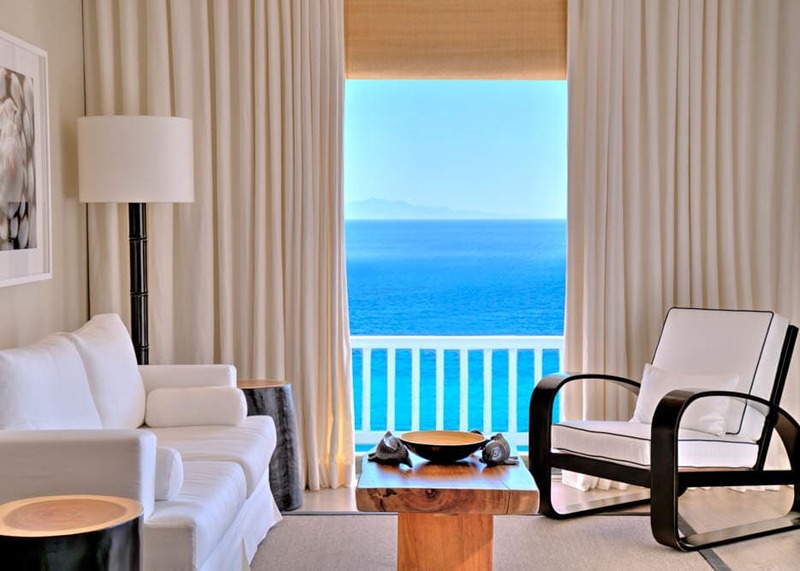 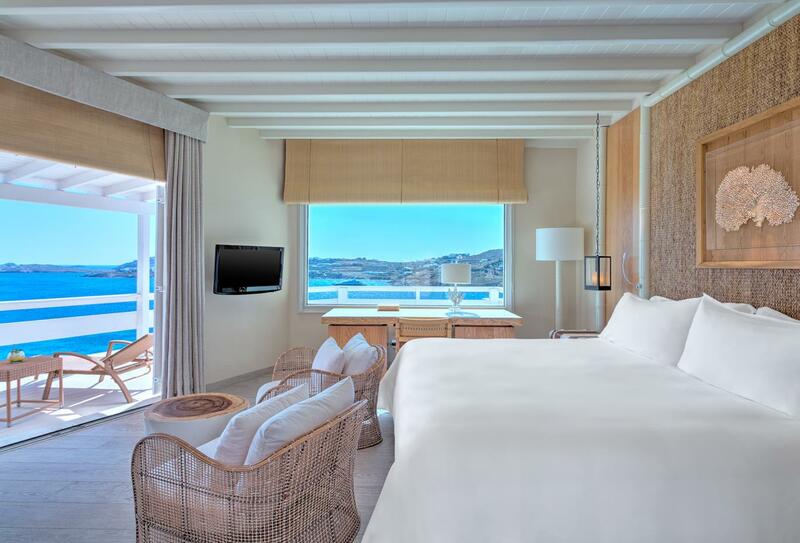 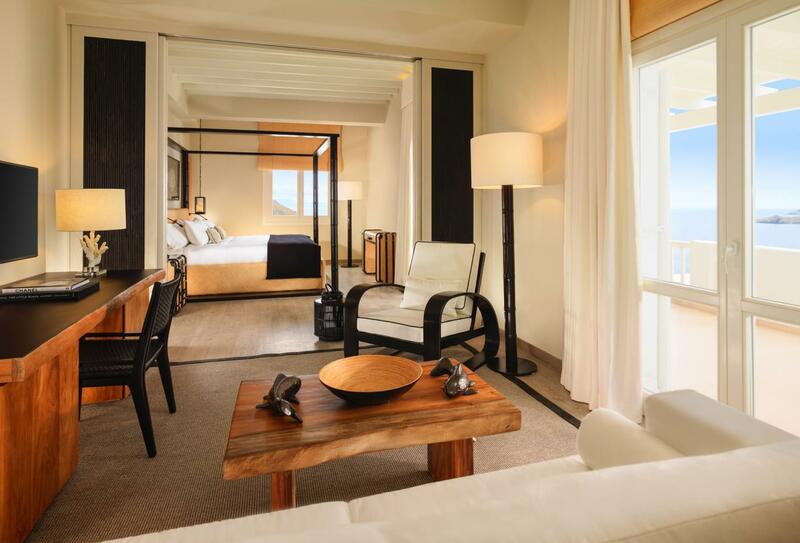 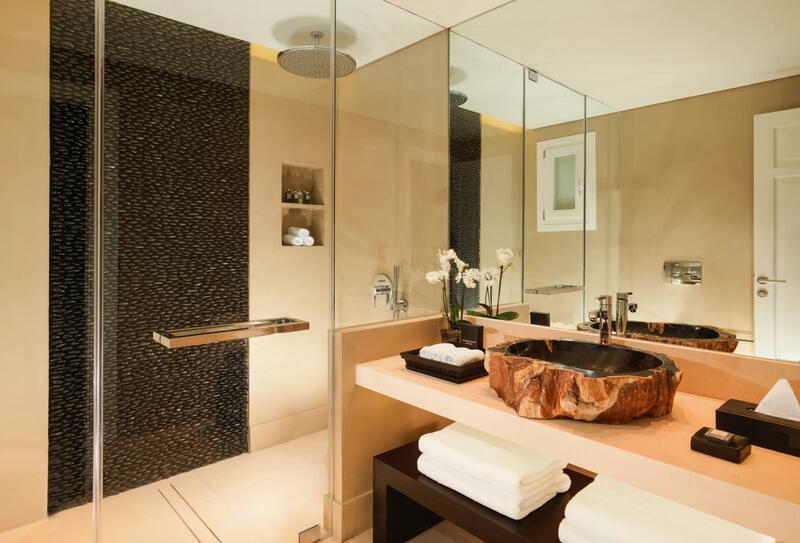 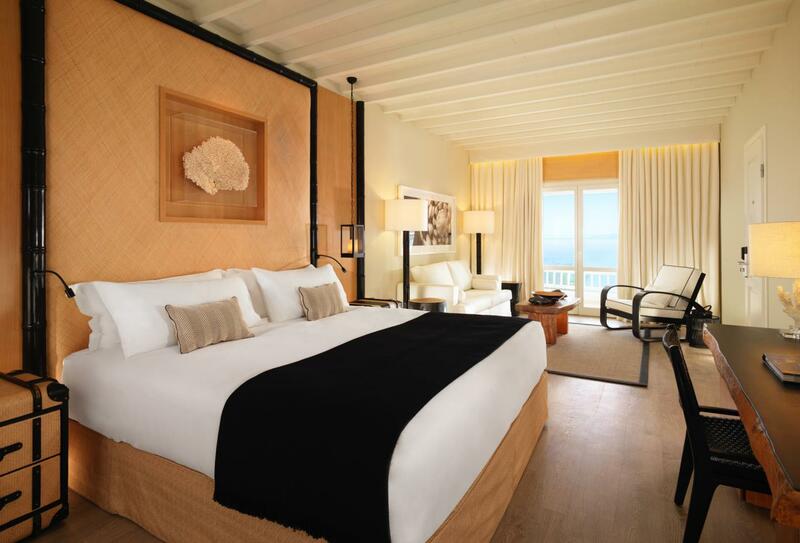 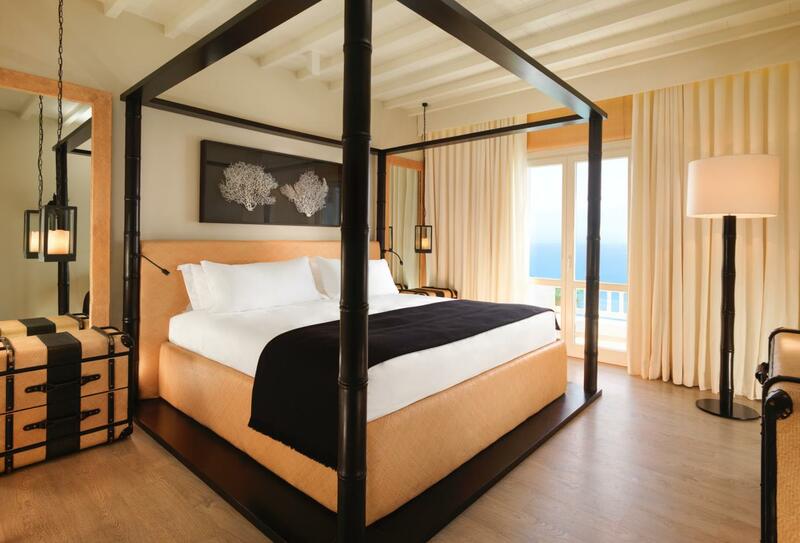 This suite features a private infinity pool, private terrace with dining area and full sea views. 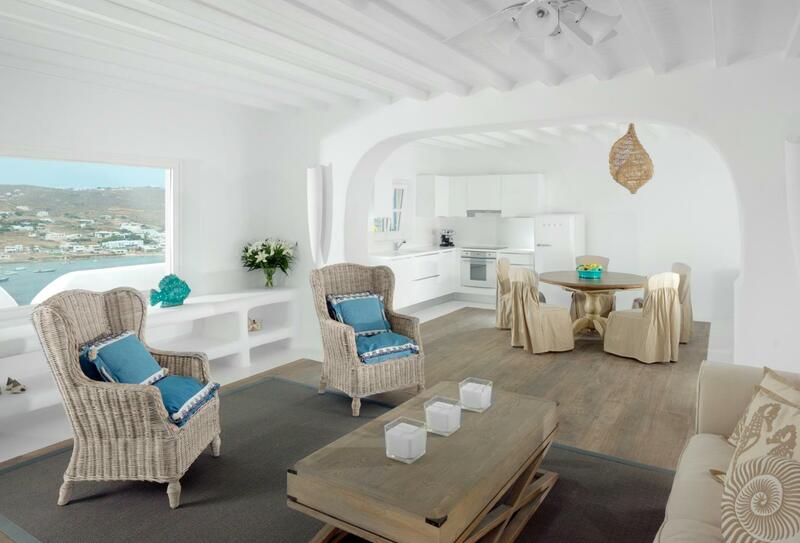 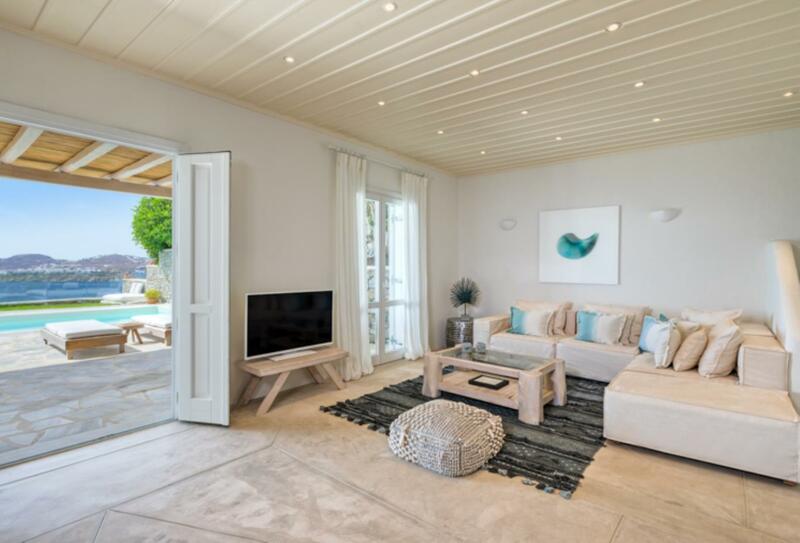 Choose from either the Coral Villa or the Crystal Villa – both with outstanding features. 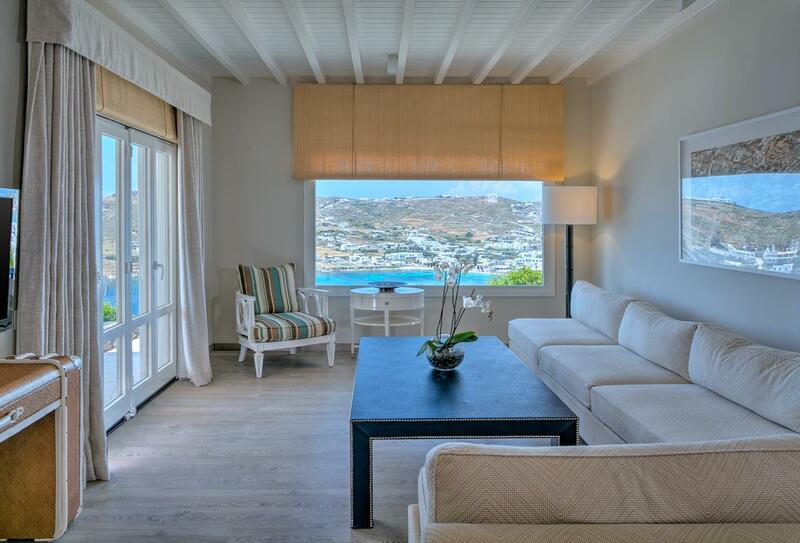 There are four three-bedroom villas to choose from: Lapis Lazuli, Sapphire, Emerald and Pearl. 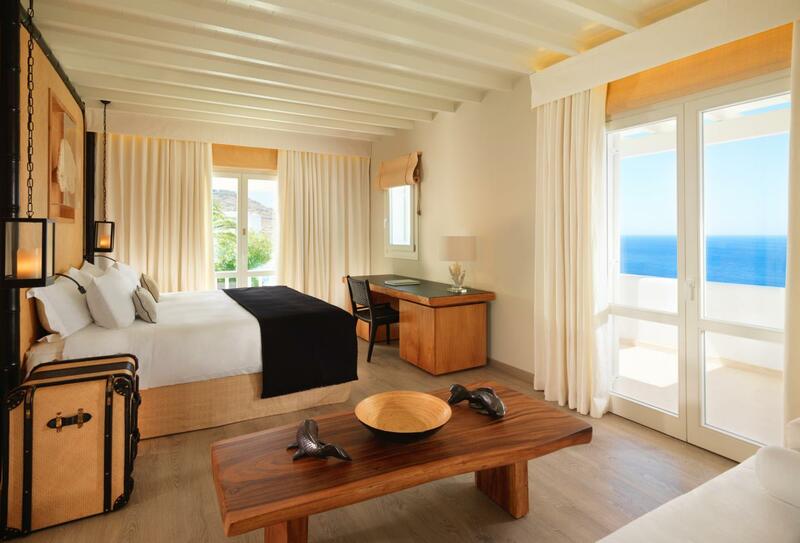 The resort offers three four-bedroom villas: Ruby, Amethyst and Turquoise. 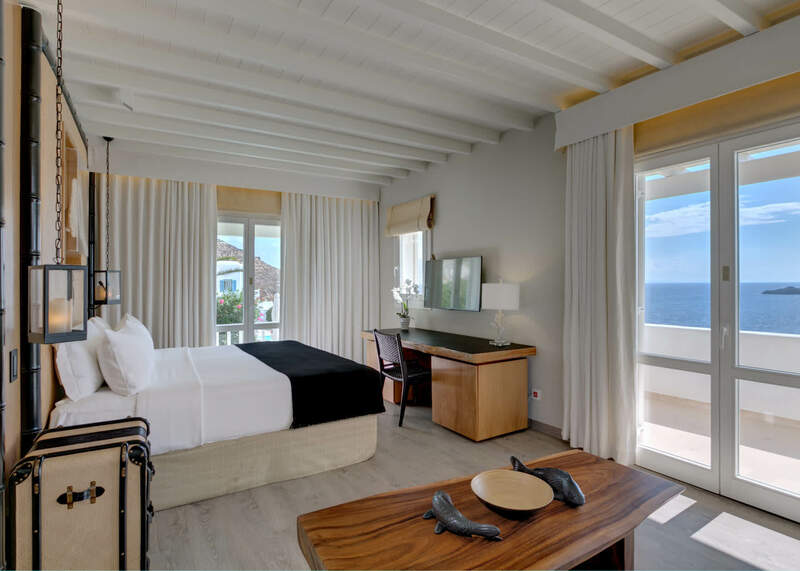 Funky beach restaurant in a lovely seaside environment offering gastronomy, hospitality and a lively vibe. 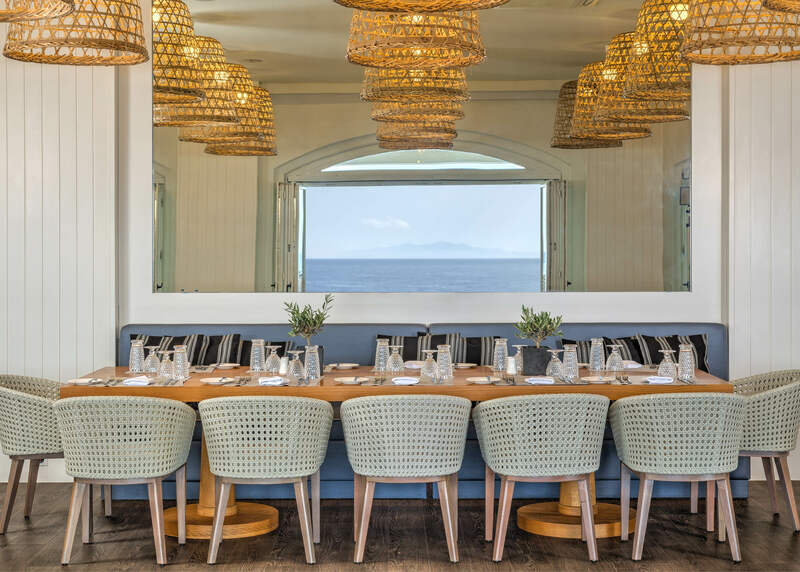 Fresh seafood is a firm favourite along with adventurous cocktails. 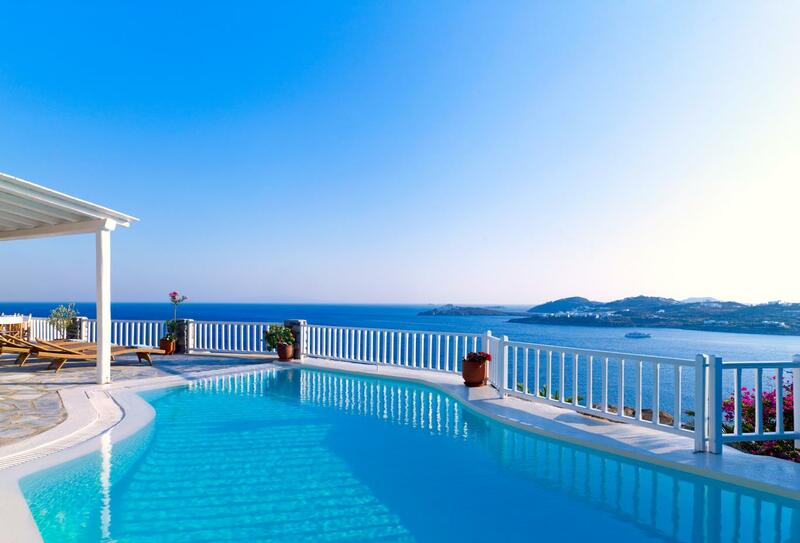 Sit back with your favourite icy drink while gazing out across the sparkling blue sea. 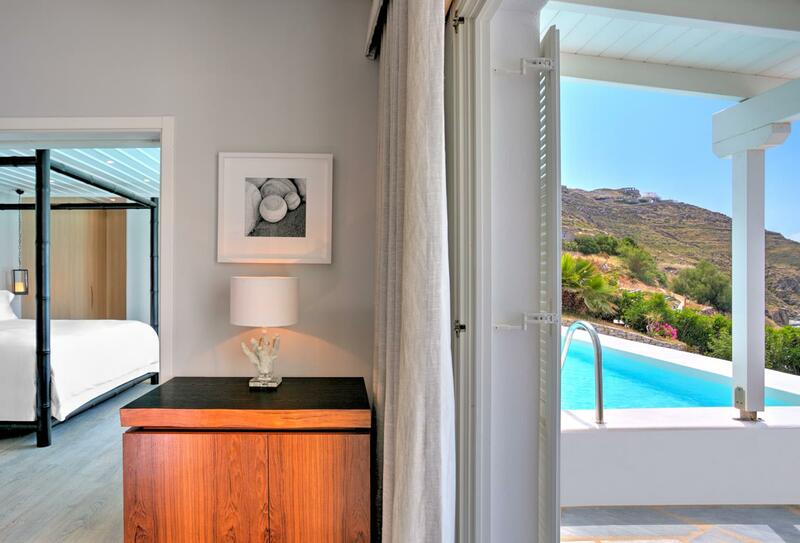 Enjoy a buffet breakfast in the morning or a delicious meal in the afternoon without having to move from the pool. 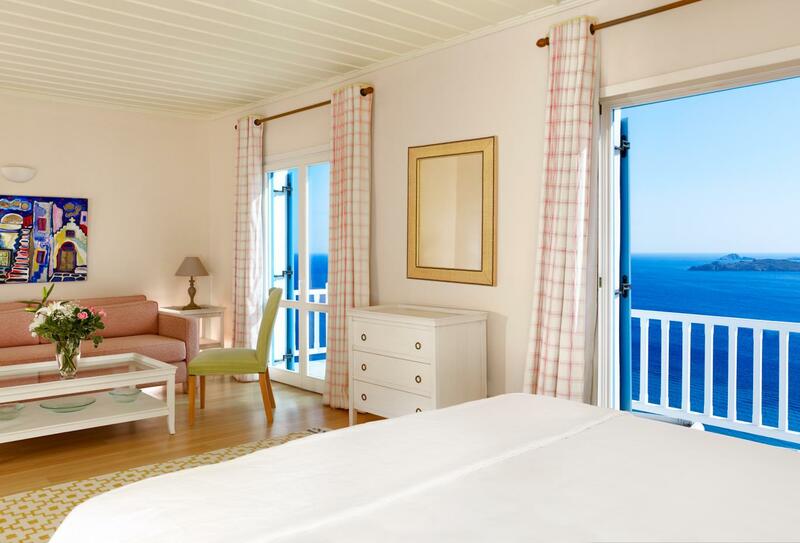 Situated overlooking the Aegean Sea and Ornos Bay is Santa Marina Resort & Villas. 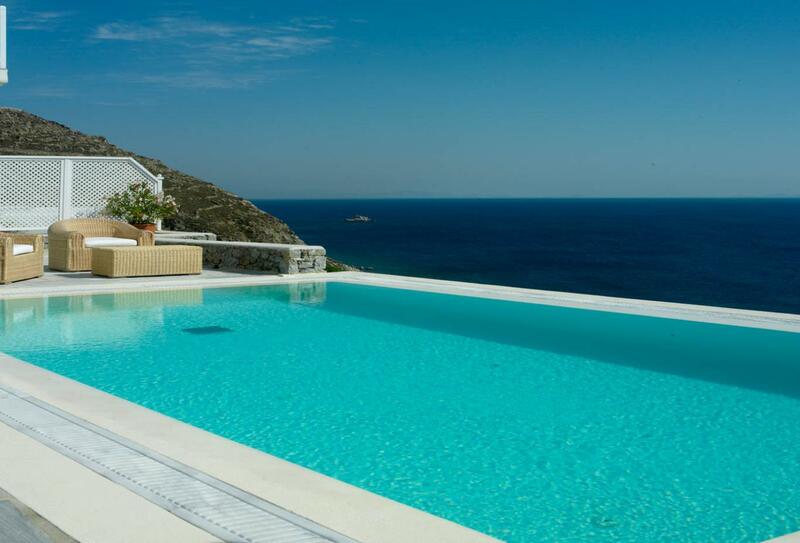 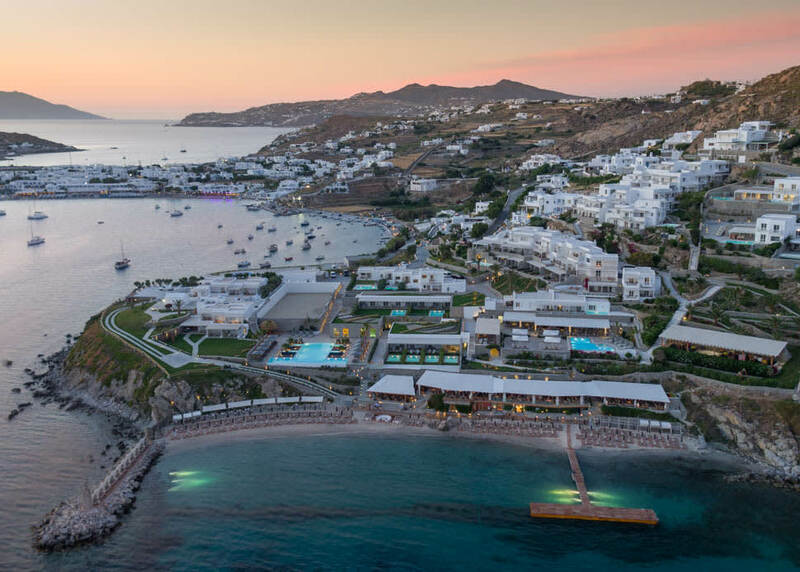 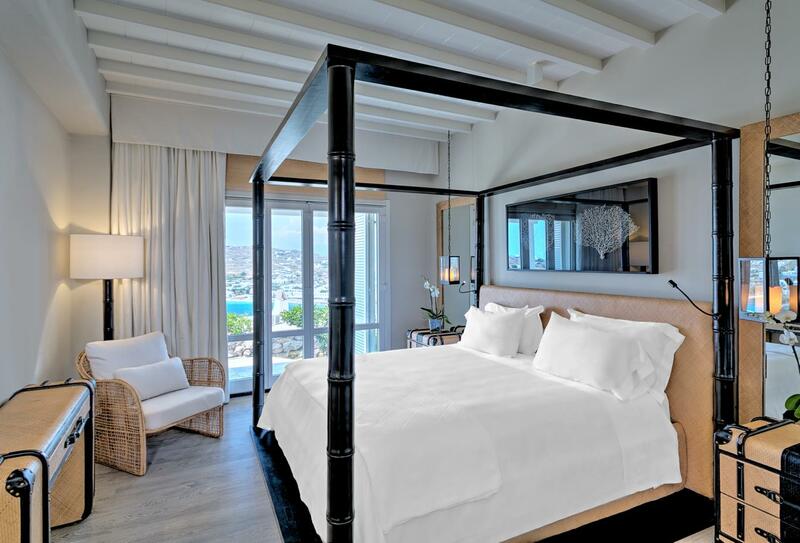 The resort has its own 150m stretch of beach and is a mere 3km way from Mykonos Town.